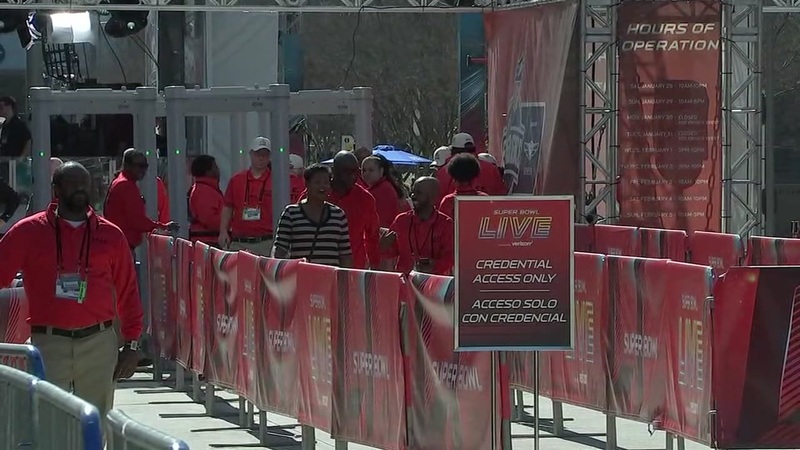 HOUSTON (KTRK) -- With the massive crowds of people flocking to the Bayou City for Super Bowl 51, you've almost got to expect that some bad guys will make their way into the city. Enter Immigration & Customs Enforcement. 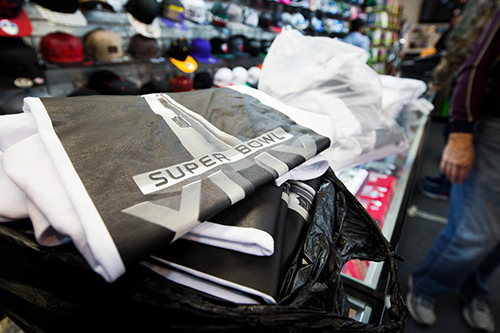 Earlier this week, the agency worked with Houston police, the NFL and other federal agencies to arrest and charge five people accused of selling counterfeit Super Bowl merchandise and tickets in the Harwin area. 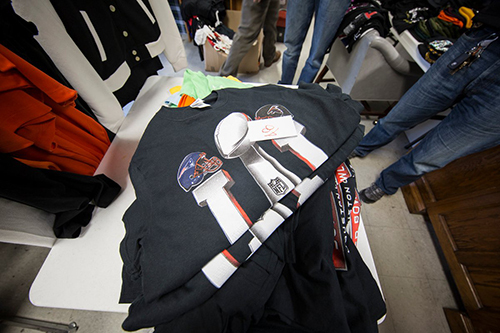 More than $500,000 worth of fake merchandise was seized, and eight businesses have been interrupted. 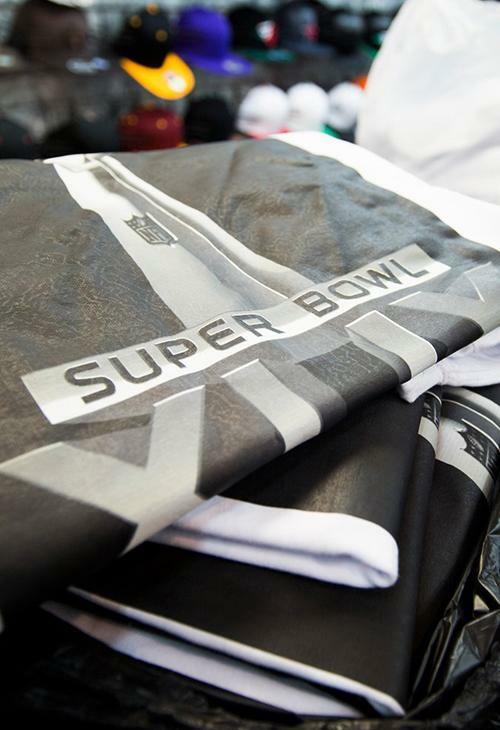 Authorities have seized more than $500,000 in counterfeit Super Bowl goods in Houston ahead of the big game. While counterfeit goods are almost always less expensive than the real deal, they are often inferior quality, officials warn. "We have seen pirated items that are faded. If you wash them once, the numbers fall off. Names are misspelled. It's not going to be an item that you could ever sell," said Precinct 1 Constable Alan Rosen. "You are not going to be able to authenticate the fact that it's a real jersey." Secondhand Super Bowl tickets pose a different problem. Even if the tickets are legitimate, they may have been reported lost or stolen, in which case they cannot be redeemed for admission. 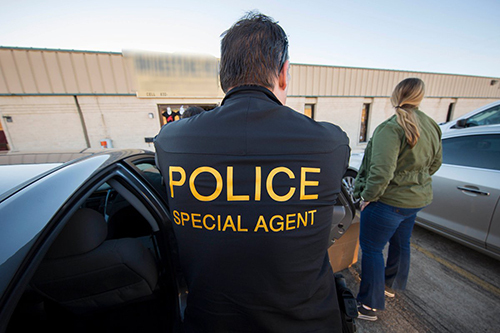 While ICE is known for enforcing its namesake immigration policies, the agency said it participates in counterfeiting investigations because counterfeiting groups are oftentimes also involved in forced labor and drug trafficking operations, which do fall under ICE jurisdiction. 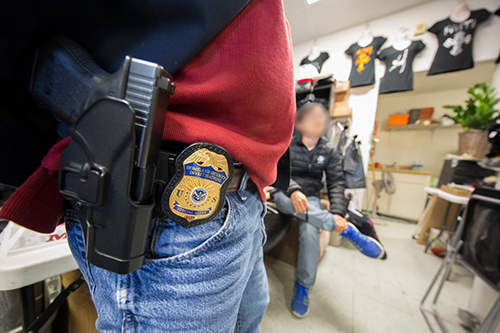 Counterfeiting investigations have also helped the agency draw links between gangs and other international criminal organizations with ties to drug and weapons trafficking. Anybody can file a counterfeit report at IPRCenter.gov or by calling 1-866-DHS-2-ICE. 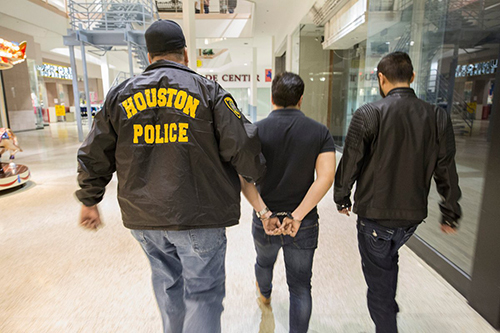 Local, state and federal officials are taking many steps to keep Houstonians safe during Super Bowl week, some of which you might not even realize are happening.